It’s been a wonderful year of club growth and personal development. A year of stepping outside our comfort zones and stretching to meet new challenges. And it is time we celebrated our efforts. Weegee Sachtjen will chair the last meeting of the 2016-2017 season on June 28. At this brew ha-ha, we will celebrate our club, the members and our own personal achievements. Some highlights include a special awards presentation by Neil Booth and a look back over the year with Johanna Rzepa. To prepare for the meeting, think about what it is you are most proud of this year. Perhaps it was a speech before the club or a challenge you met head on in your personal life. Be prepared to share your accomplishment in the meeting’s round robin Table Topics! 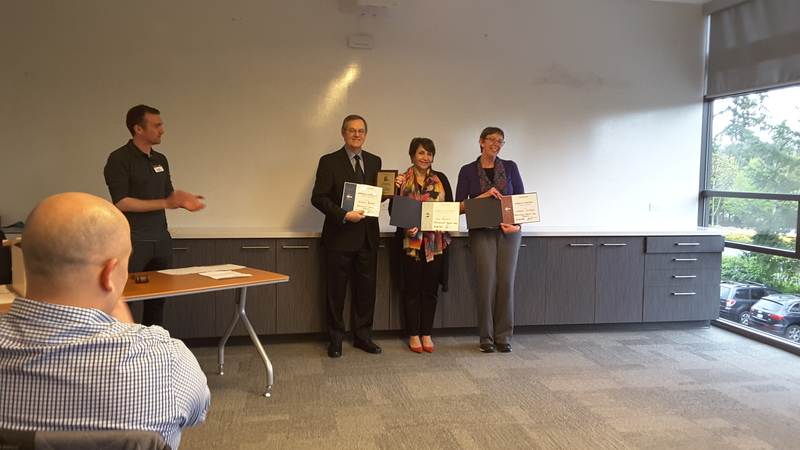 Nominating yourself, or another, is opening the door to an opportunity to step up and improve your leadership skills while learning the ropes of Toastmasters.it’s a fantastic way to give back to the club and stretch your skills. Collectively, the club’s officers are its Executive team. For more information on the positions and duties, CLICK HERE. VP of Education Neil B.
VP of Membership Sarah L.
VP of Public Relations D’Arcy D-C. Sergeant at Arms Guy F.
Their term of service starts on July 1. A special thank you goes out to the members of the outgoing board for their hard work, dedication, and communication. They will continue in their positions until June 30. Congratulations to the new Executive Team! Exciting things await! “Oh! The Ways You’ll Grow!” was the conference theme, and I am so pleased with the growth experienced by our Area 73 members. 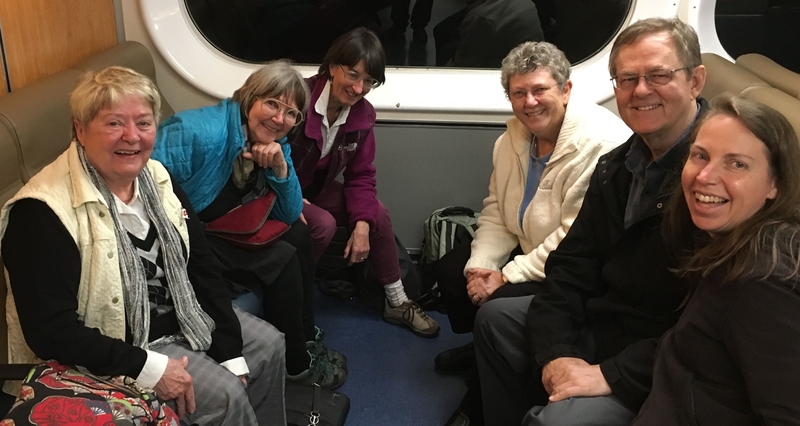 We had representatives from every Sunshine Coast club at the event, and we all shared our experiences as we rode the ferry home together. MorningSTARS sponsored two first-time conference attendees. What a fabulous benefit to our members’ educational experience. Take a look at all the ways we grew! D’Arcy from MorningSTARS was immediately struck by the friendly energy that fellow Toastmasters extended to her. During the Evaluation and International Speech contests, she focused on observing the many different styles of delivering a speech—and became inspired to stay true to her own style. Sarah from MorningSTARS brought home a quote from 2005 World Champion, Lance Miller’s education session: “Speak from your heart; that’s all that matters.” She also appreciated the helpful tips he offered about Life Force, Message, and Mechanics. Jennie from our nearly-chartered “Coastmasters” club, came for the latter half of the day. She found a lot of positive energy to keep her uplifted throughout the afternoon and evening. Maureen from the “Sunshine” club was drawn to hear Lance Miller. She finds him engaging, and she received validation for her feeling that the “club is the most important thing” in Toastmasters. William from Beachcombers (and MorningSTARS!) experienced a lot of growth. As his second straight year on the District stage, he found this year much less stressful and noted that, as you get more humbled (by losing), you’re increasingly better able to deliver your message more effectively. He delivered a knockout speech and—unfortunately—received an overtime disqualification. And me? Oh! I grew! I was extremely grateful for the opportunity to be the Test Speaker for the Evaluation Contest. It was thrilling to deliver a speech to such a supportive audience and then receive eight evaluations full of encouraging feedback and great suggestions. Every speaking opportunity gives me greater confidence, and I’m so glad I took this chance to increase my own growth. Next up is the International Convention being held in our home District at the Vancouver Convention Centre on Aug 23-26. Volunteers receive a great discount on the whole conference. Or you may choose to attend only the World Championship of Public Speaking finals on Friday, Aug 25 at 8pm. General admission $75USD; Reserved seating $120USD. Toastmaster Chair announces a speaker. The speaker approaches the Chair, shakes hands and takes center stage. At the end, the speaker turns to the Chair. The chair approaches the speaker. The two of them shake hands and then the speaker takes their seat. That’s it. But the simple procedure carries more than just common courtesy. The handshake is a brief connection between two people that helps ground the speaker while demonstrating professionalism. A good handshake (hands are aligned, equal grip pressure and steady eye contact) can be empowering and reassuring to a new speaker. Next time you step up to take center stage, take a moment to remember the power of the handshake for it is so much more than just a courtesy. 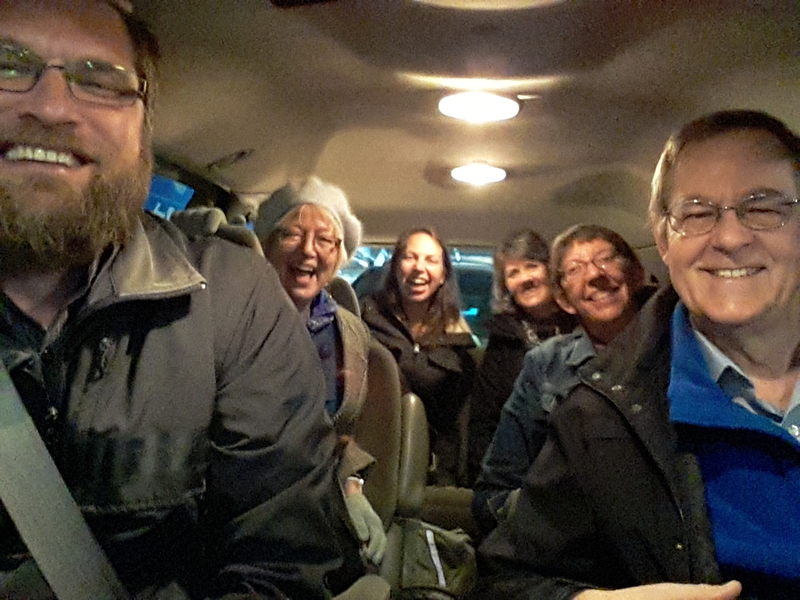 It was a dark and rainy day but that didn’t stop a van full of Sunshine Coaster from venturing into North Vancouver for the Division H Contests on Saturday afternoon. The third level of International Speech and Evaluation contests were held in the Alpha meeting room at the Arc’teryx headquarters in Deep Cove. It was here that the stage was set for five Evaluators and six International Speech contestants to demonstrate their mad public speaking skills. There were three people from Area 73 who rose to the challenge: William B. (speech, Beachcombers), Weegee S. (speech, Morningstars) and Kyle H. (evaluation, Morningstars). With every level of the competition, a contestant is pitted up against a new set of peers and a slightly bigger audience as partners, friends, and family come to watch. 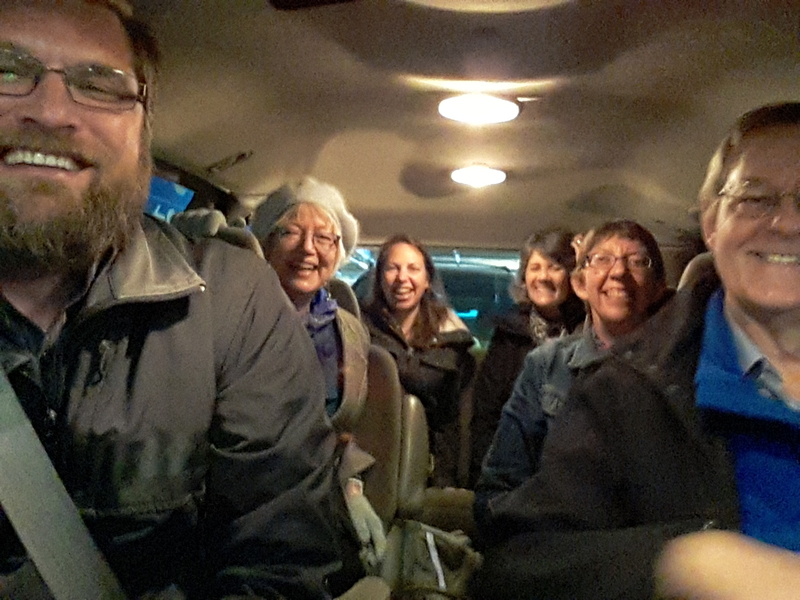 For this contest, Sheila C., Johanna R., and Weegee’s husband, Mike, helped fill the chairs (and a couple of roles!) with Area 73 energy. Area 73 walked away with three of the top three placements in the two categories. Congratulations to William for his FIRST place win and to Weegee for her THIRD place win in the International Speech Contest. Congratulations are in order for Kylie for her SECOND place win in the Evaluations contest! At this level, the first place winner in each category goes on to the District 96 Spring Conference. It is a one-day extravaganza held at the BCIT Downtown Campus (555 Seymour Street, Vancouver) on May 13, 2017. Registration and information is available at d96springconference.ca. It was an excellent day of speeches, evaluations and Area 73 fun! Speech contests are a Toastmasters tradition. 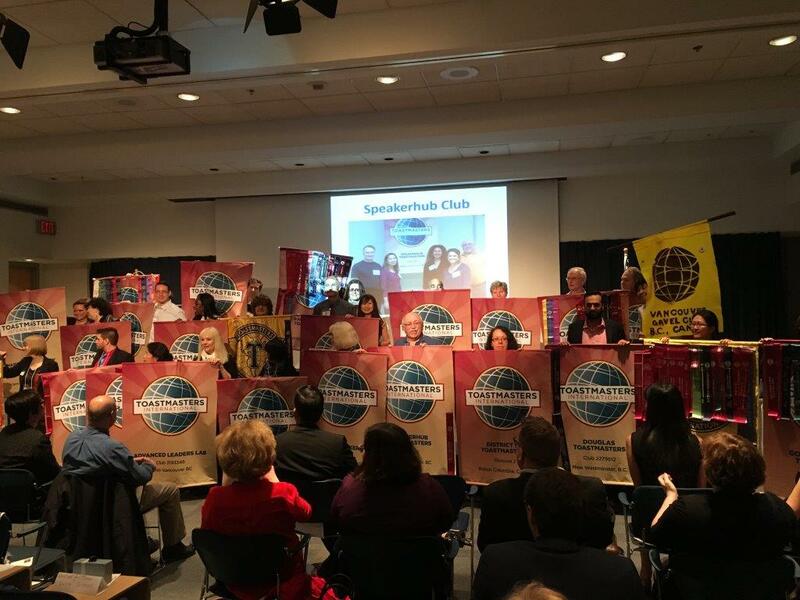 Each year, thousands of Toastmasters around the globe get competitive, demonstrating their skills in the Humorous, Evaluation, Tall Tales, Table Topics and International speech contests. 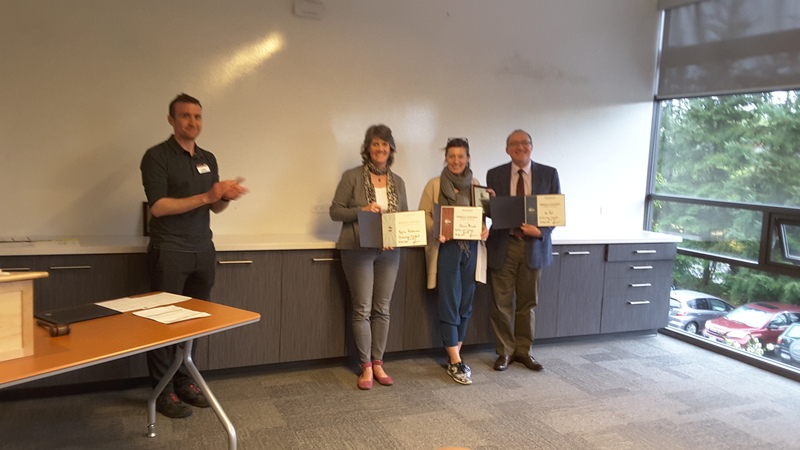 On Tuesday, April 25, three of the Sunshine Coast area Toastmasters clubs came together for the Area 73 International Speech and Evaluation contests at the beautiful Sechelt Arts Centre. Surrounded by art from the local high school, four competitors for the International Speech Contest and two participants for the Evaluation contest took center stage. William B. (for Beachcombers) talked about a lesson he learned after an unfortunate incident with a horse. 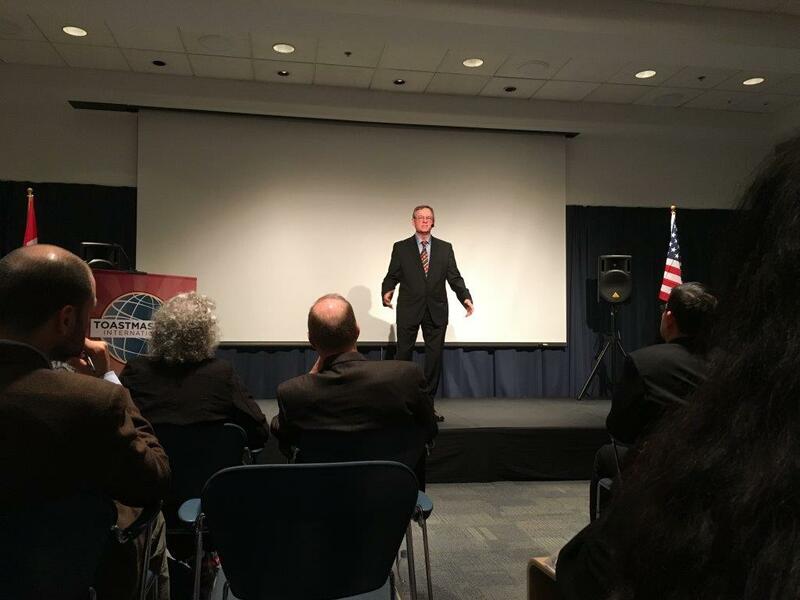 MorningSTAR Ben R. shared his journey as a presenter and how Toastmasters helped take his skills to the next level. Weegee S. talked about the day she shattered her basic existence in aisle 6. Maureen M. (Sunshine Coast) encouraged us to be the change by talking about one of the reasons she joined Toastmasters. For the Evaluation Contest, PJ R. delivered a powerful speech about an “out-of-body experience” that reveals how we change, grow and shift courses in life. Baili C. (Sunshine) and Kylie H. (MorningSTAR) shared their unique perspectives on the speech and offered well-rounded suggestions. Behind every great contest is the real winner of the competition: the volunteers who helped make it a success. Without them, the contest would not occur. A special thank you to the Chair (Neil B. ), Chief Judge (Sheila C.), judges, timers and ballot counters. Without their manpower, 30,000 contestants a year wouldn’t be able to test their public speaking skills. A special thank you to the volunteers and the audience members. A huge shout out to the contenders! Another fantastic contest in the books! The top two winners in each contest will continue to the Division round, which will be held on Saturday, April 29 at 1pm at Arc’teryx HQ (2220 Dollarton Highway) in Deep Cove.